Although the UK is on course to achieve emissions reductions targets to 2022, achieving longer-term goals will require more investment and policies in areas including electric vehicle take-up. So says Ofgem in its State of the Energy Market Report 2017, as it also calls for further work on carbon capture and storage technologies, low-carbon building heating and increased renewable electricity generation. In the annual report, the government highlighted that smart meters, electric vehicles and new types of storage are already affecting how consumers manage their energy, and allowing more innovative approaches to managing supply and demand. 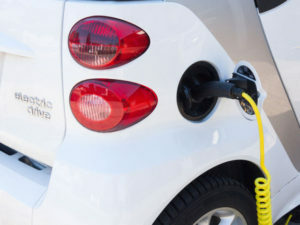 However, it highlighted a call earlier this year from independent advisory body, the Committee on Climate Change, for the government to set a target that electric vehicles should make up at least 60% of new cars and vans sold in the UK by the end of the next decade. Ofgem also pointed to the current low level of electric vehicle take-up although it acknowledged that the industry is developing quickly. Latest DfT stats show that at the end of June 2017, 106,000 plug-in electric vehicles were registered in the UK, nearly triple the number registered in 2015. The report follows last month’s publication of the government’s Clean Growth Strategy, which set out a number of policies and proposals to achieve the 2032 carbon budget, including plans to spend £1bn to support the take-up of ultra low emission vehicles (ULEV), including helping consumers overcome the upfront cost of an electric car with plug-in grants for cars, vans and motorbikes. The Ofgem report comes as the latest Greenhouse Gas Bulletin from the World Meteorological Organization shows that concentrations of carbon dioxide in the atmosphere surged at a record-breaking speed in 2016 to the highest level in 800,000 years.